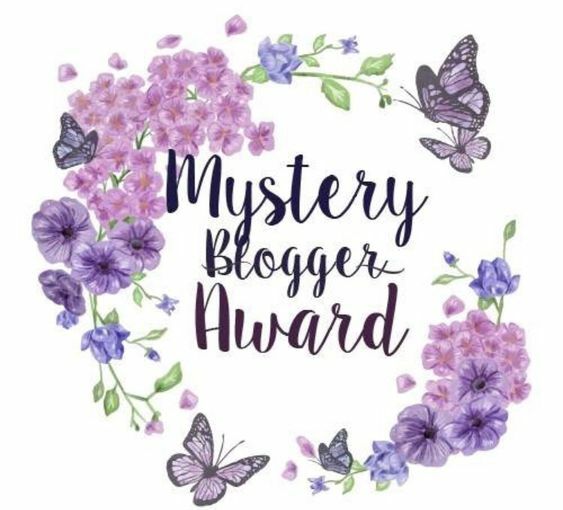 I would like to express a wholehearted “Thank You” to my dear blogging buddy, Kristian from (https://talesfromthemindofkristian.wordpress.com/) I know it took a little while for me to respond, but I truly appreciate your patience and nomination for The Mystery Blogger Award. If you haven’t checked out Kristian’s site, what are you waiting for? Daily word prompts, stories, poetry, and challenges… A whole potpourri of fun! If you could meet any fictional character from literature which one would it be and why? Josephine “Jo” Marsh of “Little Women” – I so enjoyed the story of “Little Women” and her character because of her imagination for creating stories, as well as her strength to become a woman who could write a novel. I also appreciated the idea of her not wanting to settle down and marry until she pursued her dream. If you could change one thing about yourself, what would you choose, if anything? To be completely honest, I truly wish I was a better poet. Do you prefer Romance in your comedy or Comedy in your Romance, or should the two stays wide apart? Are we speaking in real life or movies? Either way, I think I would prefer comedy in romance. You are invited to a fancy dress party, What do you decide to go dressed as? Well, if it’s a fancy dress party and not a costume party, I think I would show up as myself. Sound okay? What have you recently learned that you wish you’d known a lot earlier? I wouldn’t say it’s that recent, but I wish I learned how time-consuming these awards were. LOL! They take away from what I really want to do… Read and write. I am more socially equipped to handle and chat with people here, than in my personal life. I obviously procrastinate when it comes to responding to awards. LOL! I’m an ex-smoker, but I turned to vape 3+ years ago. I seriously loathe the smell of smoke and my roommate chain smokes. That is another reason why I stay in my bedroom a lot. Other than writing, do you have any other hobbies or activities that you enjoy? What is your most embarrassing moment in public? If you had your choice of sleeping on a bed of nails or eating chocolate covered ants, which would you choose, and why? What is your worse pet-peeve? 1. I guess one could say I collect digital files lol. I used to collect Venetian masks and music boxes but that was a life before unemployment. 2. I am an avid hiker. I also enjoy painting (not good at it), baking, gardening, and reading (obviously). 3. I don’t really get embarrassed in public – I just don’t care what others think in that way. 4. Chocolate ants…I’ve eaten worse. 5. I dislike people who think they know it all (they are the ones who usually prove that a little bit of knowledge is a very dangerous thing). Loved your weird question. I’d say I’d sleep on a bed of nails, but it would be the Flowee spiky mat, which is really a sensory-style mat But its Dutch name literally translates to “ nail mat” too. LOL! Thank you, kindly, Kristian. I so appreciate it! 😊 My fingers are still tired from this morning. LOL! I thought you were leaving for India? Very good! I truly hope you have a wonderful visit! Don’t forget to take photos. LOL! Thank you! I’m super excited you think im award worthy! Why? Your blog is good stuff!!! 😊 I would like to see you get more followers along the way! Okay, off to dinner with friends now. Have a good night, and I know I shall see you here tomorrow. Thank you for the nomination! I haven’t done one of these in a while so I’m excited to reply! I also enjoyed learning more about you. I, too, wanted to be a better poet. I started writing poetry as an adult when I started my blog, and have improved in confidence and ability since! Read my post about poetry (https://chelseaannowens.com/2017/10/01/a-muse-the-blues-some-clues-aka-how-to-write-poetry/), don’t feel discouraged by my snarky tone, and write, write, write! Enter other bloggers’ prompts, look at what poets do and try their style, try different forms, etc. Plus, keeping in mind that my preferred flavor of poems is different than others, I’m always willing to give you specific feedback. (Chelseaowenswrites@gmail.com). Beckie nominated me for this award, since I tend to be crap at doing them, I am giving her a reblog. You’re welcome. I hope this reblog is not pointing in the direction of me having to do all that again. LOL!